There have been calls for a specialist eating disorders unit for Wales as the number of patients needing hospital treatment continues to rise. Figures obtained by BBC Radio Wales show a 75% increase in a decade. The Cwtched campaign group is frustrated with patients having to go as far away as Wiltshire. Ministers say the vast majority with eating disorders are treated locally, while an extra £250,000 is improving specialist treatment for young people. Figures from Public Health Wales, provided to the BBC Good Morning Wales programme, show 109 patients needed hospital treatment for eating disorders in 2012, with 65 of these under the age of 24. This compares with 62 in 2002. Eating disorders include anorexia nervosa, bulimia nervosa, and binge-eating disorder. Mariam Schenke says her sister killed herself because she was "petrified" of travelling long distances for treatment. Charities and health experts working in the field point to a wide range of factors, from genetics to social and culture pressures. 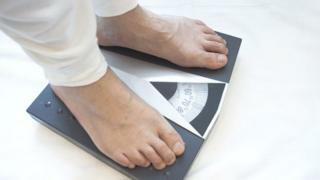 The Beat eating disorders charity says pressures on body weight and body image are affecting both women and men. It says people are "bombarded by images every day from all angles, something that just wasn't there only a few years ago". Mariam Schenke's sister died recently, aged 52. She suffered from anorexia and weighed just over 4st. "When my sister needed inpatient care, she was sent away to hospitals in Richmond, Oxford and Wiltshire but she lived in Wales," she said. "There is no dignity in being sent away so friends and family cannot visit easily." Chelsea, 19, from Blaenau Gwent, has suffered from anorexia for three years. She also had a problem with compulsive exercise. "Even though my mum and my family were telling me I was ill I wouldn't believe them. I'm an intelligent girl and I needed to hear it from a specialist, someone in authority. "I was on a psychiatric ward for a week and lost more weight - I was only aged 17 at the time. My mum then contacted the Welsh government and they got me a bed, in Marlborough in Wiltshire. "I'm a home girl though and I'm at my happiest when my family are around me. I used to see my Nan every day and it took my mother three hours to travel, then she had to travel back and then had work. So I could go a month without seeing her." A Welsh government spokesperson said an extra £250,000 a year was announced last October to improve specialist services for children and young people with complex eating disorders. "This will allow more children and young people to remain in Wales, saving on costly out of area placements," said a spokesperson. "These savings, in turn, will be reinvested in the new Child and Adolescent Mental Health Service (CAMHS). "Just as importantly it will ensure, whenever possible, the young person can maintain contact with their family and friends while they undergo treatment." The spokesperson said the vast majority of people with an eating disorder can be cared for in their community or local mental health inpatient facilities but a small number would need highly-specialised care and the support of specialist staff which is only available in a few centres across the UK.